If you are after a tent that will withstand the elements and endure the test of time a Southern Cross Canvas tent is for you. 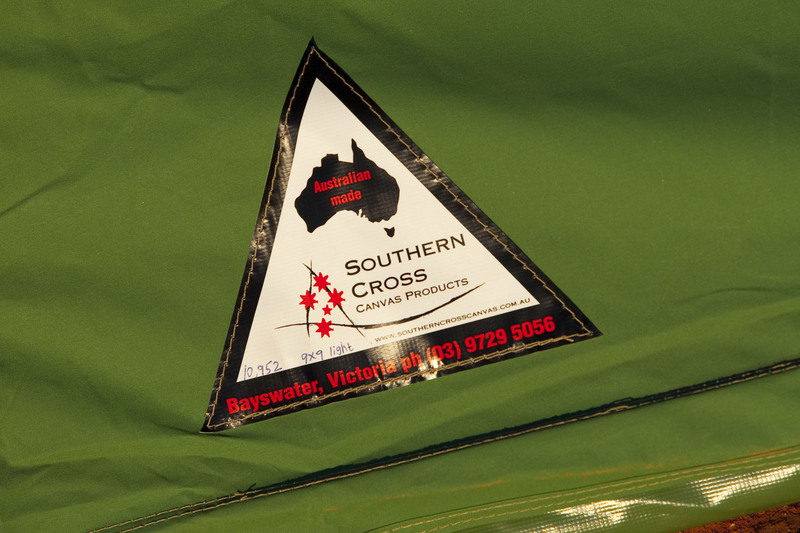 Southern Cross Canvas products are Australian made and designed for our Australian conditions. Not only, are our range of Touring tents the quickest and easiest to erect and pack up. They will withstand severe and adverse weather. 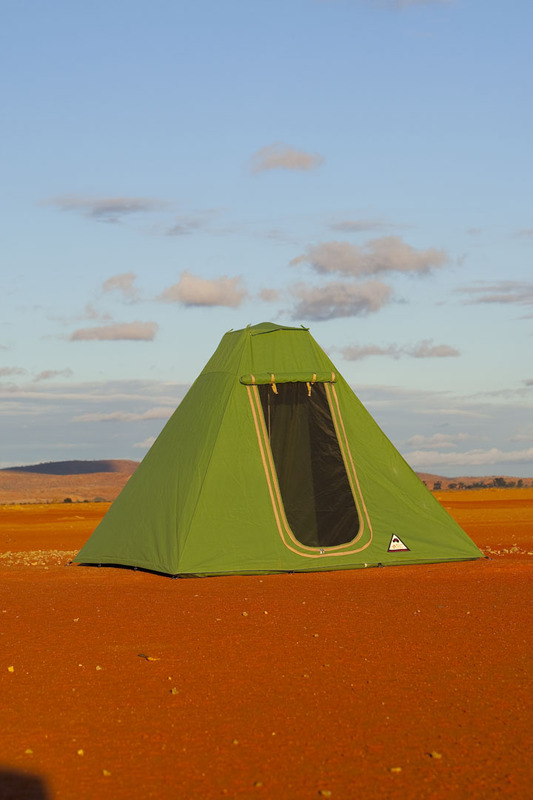 All Southern Cross Canvas tents are manufactured from Australian made canvas, which has high tear strength and a high water head (waterproof) rating with a low shrinkage factor. Australian canvas is widely regarded as the best canvas available worldwide. 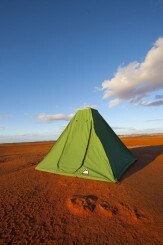 The Lite 9 is the smallest tent that we manufacture in our range. Manufactured using Wax Converters Coolabah 275g/sq.m (8 oz). It consists of one window with flywire and one opposing door with flywire. With a smaller overall height of 2150mm and a smaller roof frame of 600 mm square. It means that this tent packs up into a bag of 750 x 750 x 150, with a weight of 14 kgs. 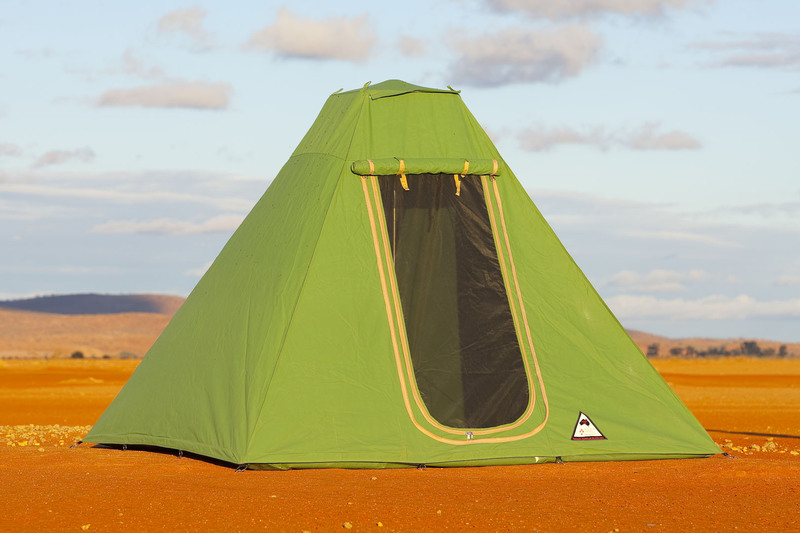 With these features it makes a light tent with the capacity to sleep 2 -4 people. One of the easiest tents to erect and pack-up on the market. Unique design features make tents extremely stable even in the worst weather conditions. Large Windows providing the best ventilation possible. Super fine UV Stabilised fly screens, which are sand-fly/midgee, proof. Floors are made from heavy-duty vinyl with welded seams and tub design for maximum weatherproofing. Storage loft available as an option inside the tent. A unique roof disk system does away with spike poles through eyelets in the roof that are a potential for leakage. All steel work is made locally from premium materials. 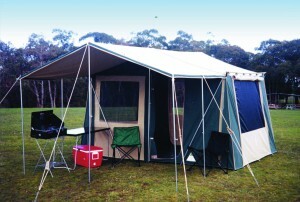 A three-piece double locking centre pole which is better suited with the use of awnings. 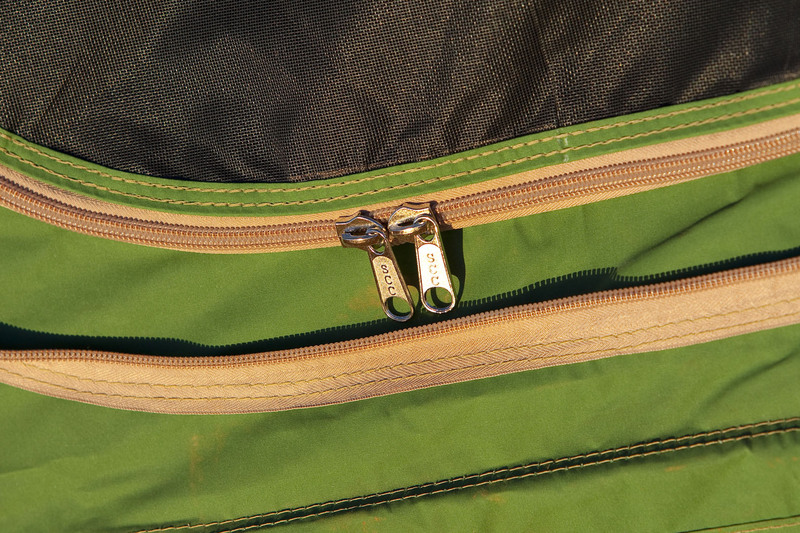 Heavy duty No.10 spiral zips with locking runners and high doorsteps for dry entry. A range of awnings available to specifically suit all the tents. Unique optional side pole kit. 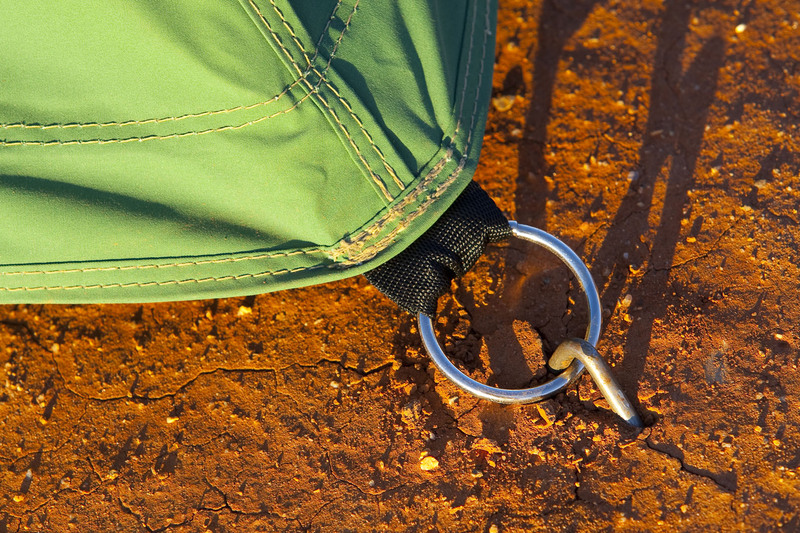 Tents come standard with centre pole, pegs and tent bag. Market leading 5 year manufactures warranty.